This terrific gold-colored coated-metal jewelry box features a stylized heart design and a polished gold-colored interior. 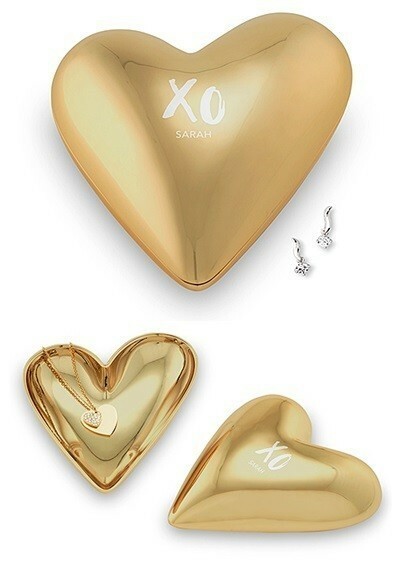 Better yet, the lid features a whimsical "XO" design beneath which you may have a name or text line etched. PLEASE NOTE: Pictured jewelry is not included.